Now when you are done with initial setup of your WordPress blog, you can start adding content to your WordPress blog. 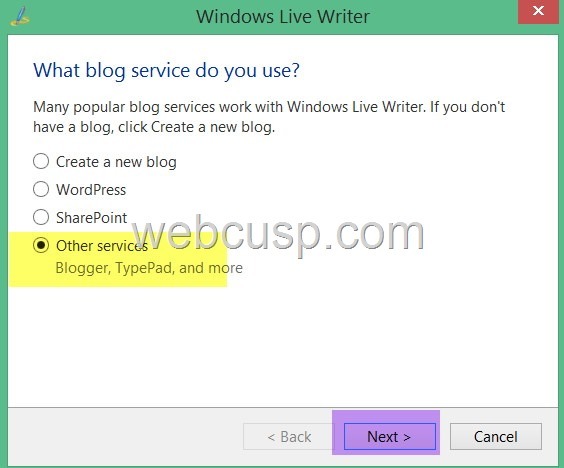 However, you can utilize WordPress built-in blog editor but we highly recommend Windows Live Writer, a free blog publishing tool from Microsoft that makes writing articles immensely convenient and we are sure that you will love this tool. Live Writer comes with lots of additional tools to enhance your blog post such as custom font size, table creation, image editing, image watermarking etc. If you use WordPress remote blog editor, you may eventually be sick and tired of inserting images one by one and obviously it takes more time to insert images on remote server. On the other hand, with Live Writer you can add images swiftly and upload the article to your blog using one click. Live Writer spelling checker is more powerful than most other spelling checkers and it saves a lot of your time. 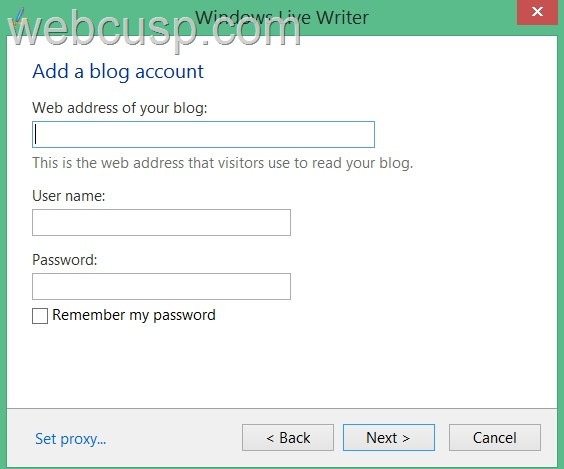 Live Writer gives you option to add as many blog accounts as you want. And you can switch to any account any time. 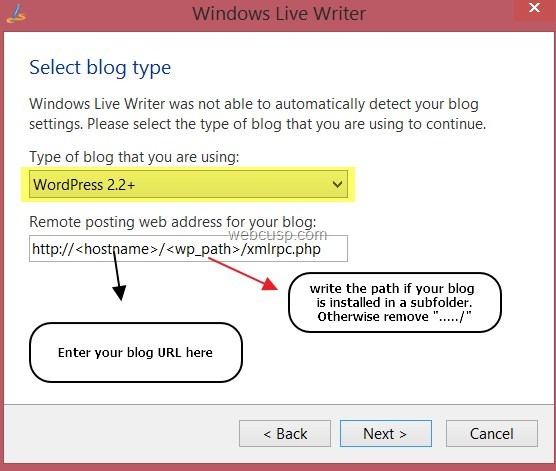 If your provided login detail is correct, Live Writer will go ahead and set up your blog automatically. Meanwhile it will ask you to download your WordPress theme so that your post on Live Writer looks as in live condition. But to keep the writing interface simplified and minimal we recommend that you not download the theme . Live Writer downloads WordPress blog categories and tags too and you can add categories and tags direct from it. This problem is most probably because of your web hosting (Hosting Firewall prevents Live Writer accessing xmlrpc.php). Create a support ticket and tell them the problem in detail. They will look into it and sort out the issue. Having added a blog account, you are ready to write content using Live Writer. Do you have issues using Live Writer. Feel free to consider this post as a support thread and ask questions in comments section below. We will happily assist you replying your questions. If you have been using Live Writer, do share your experience with this software in comments. Also tell us whether you prefer Live Writer or WordPress in-built text editor or anything else.